Every time I read 1 Thessalonians 5:12-28, I’m deeply encouraged. Here, Paul gives his final instructions to the Church at Thessaloniki, calling them to love, act justly, and do the will of God. Not only that, but he tells them how they can accomplish all this. Paul says, “Now may the God of peace himself sanctify you completely, and may your whole spirit and soul and body be kept blameless at the coming of our Lord Jesus Christ. He who calls you is faithful; he will surely do it” (1 Thess. 5:23-24). How will we become the kind of people that Paul depicts in this passage? God will work it out. He is faithful in sanctifying us completely. As I was looking to learn more about this passage, I was drawn to delve deeper into verses 16-18: “Rejoice always, pray without ceasing, give thanks in all circumstances; for this is the will of God in Christ Jesus for you.” Ever wondered what God’s will is!? It’s this! That we rejoice, that we pray, and that we give thanks—and that we do all of these things all the time. Even though I was just reminded that God will complete this work in me, I felt overwhelmed. I’m certainly not doing those three things continuously! So, I looked to a resource for some help and encouragement. “A series of brief, staccato commands indicates the basis for Christian living. They are quite general and would apply to any group of believers. Christians have grounds for joy in both their experience of salvation and their hope of what God will do in the future, but they need to express that joy; there is a right and proper place for the expression of joyful emotion. I think D.A. Carson probably has the right idea. God doesn’t expect us to rejoice, pray, and express gratitude uninterruptedly, but often. I can picture myself living a life where I rejoice often and a life where I’m thankful often. 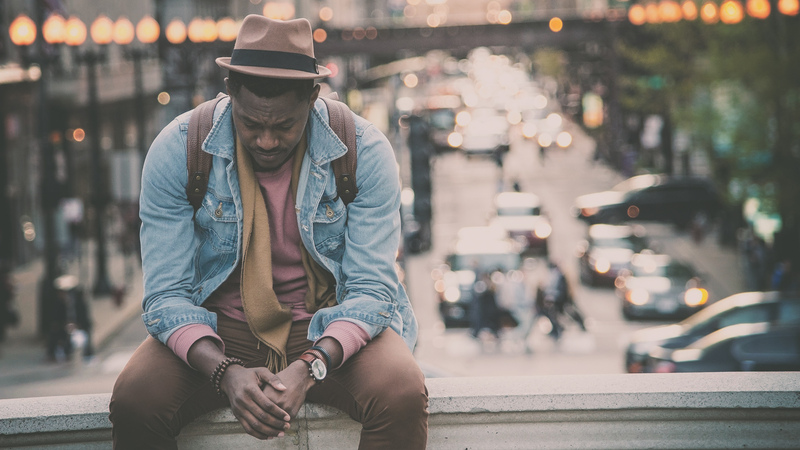 But I wonder, what exactly did a life of frequent prayer look like for Paul? To Paul, prayer was even the realization of God’s presence! Not that this is something I am perfect at, but it seems much more attainable than needing to always sit down and have a very deep conversation with God. Don’t get me wrong—that’s important, too! But prayer in the believer’s life is more than confession, thanksgiving, and intercession. It’s seeing God, recognizing Him in our circumstances, and acknowledging Him. All in all, when we realize God’s presence, it’ll be nearly impossible for us to act outside of God’s will. That should be a comfort. Did you find this information just as helpful as I did? 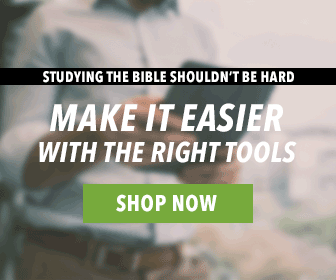 We offer the New Bible Commentary and New Bible Dictionary as a bundled product. So, if you’re interested in learning more about these great resources, visit our website! do I have an active account on your books ? Sorry, Gene! You’ll need to email support@olivetree.com for that question. Our awesome support staff will be able to help you. Will of God is what people want to know. Then find it by reading God’s will in your bible. The only way. This really bothers me that you are trying to share “God’s will” to readers by selling your books to them. This is not right! Knowing God’s will is not based on your dictionary or bible study materials but truly by spending time with God alone in His Word, the Bible and leaving a life full of obedience to Him and being a pure blessing to others where ever we are. Without any strings attached! When I read this, I didn’t infer that at all. I thought it was a good message and the book offer was a soft sell – like a commercial break during a television show. This is just my opinion as conversation and not criticism of Josh’s post. So you think this app is able to sustain its self without support from the users? I agree with you Josh. For me it was also disappointing when I discovered it was just a (bad) commercial. Not a single word about the meaning of these 3 verses in the context. You asked this question: Ever wondered what God’s Will is? You answered correctly that we rejoice, that we pray, and that we give thanks – and we do all of these things all the time. That is correct as to what the Apostle Paul said in I Thess.5.16-18. But still this begs the question: What exactly is God’s Will? What does it mean? We need specifics or the meaning of God’s Will. There are all kinds of wills in our walk of life as well as God’s. We as Christians make decisions by discerning God’s Will. To me it is one of the most profound subjects in the Christian life. It is also one of the most mysterious subjects in the spiritual life. A disciple of the Lord wants to do what He (God) wants and this requires knowing what He wants. We call this discerning God’s Will. There are probably about three kinds of wills from God. One is His Sovereign Will; secondly is His general moral will; and third and lastly is His individual will. Each has an explanation for all of His wills in our Christian lives. God’s Sovereign Will – The Bible says that God has a plan for everything that happens in the universe. God’s general moral will – God has also revealed in the Bible commands and principles to teach us how to live. The bible contains one hundred percent of this will. God’s Individual Will – Many Christians also believe that god has an “ideal, detailed life-plan uniquely designed for each person.” It also includes His moral will. Jeremiah 29.11 and Proverbs 16.3 are very clear on this matter. They are my most favorite verses but I would include verses 12-13 from Jeremiah because it is included in God’s Will. Now the common questions are: What is God’s will and what is not God’s will? How can we know God’s will? Is it common to miss God’s will or is that even possible? I will not venture to include more questions than I have given here. You will need to get this book “The Mystery Of God’s Will” by Chuck Swindoll. I have figured out what God’s Will is before I bought this book and I am inclined to agree with him on the meaning of God’s Will. Another author talks about the Will of God – I cannot remember name of book but he makes a point of the meaning. I will not go indepth on this subject but there is one verse in the Bible that is clear on what the Will of God is: “And we know that God works all things together for the good of those who love Him, who are called according to His purpose. (Romans 8.28).” There it is – the word “purpose.” If we go back to verse 27 it says the will of God. Paul makes it clear on the word purpose. Therefore, the answer is purpose. What does purpose mean? It means something is done or used: the aim or intention of something or achieve something; the aim or goal of trying to do something. That is exactly what God is doing – everything in God’s Will or God’s purpose. Sorry if I made my comments too long but I need to clarify. Put simply do only this LOVE — make room Inn … you are the Inn…. be dwelling place… God consciousness…. know be quicken when being of you is not in His peace….awareness…..when this is who you are …. tuned in… plugged in … you automatically become responsive… prayer, thanksgiving is part of your being…..Amen…..just is just happens so thankful to know Him, so thankful can truly say Lord I trust believe you for everything!!! God’s will is His Word. Since 1 These 5:16-18 speaks of God’s will for us is rejoicing, giving thanks and praying always how simpler can one get? No it isn’t meant to be taking literal, for we would never move. Rather, figuratively to rejoice when rejoicing is prudent. Thankful when necessary. Praying for the necessity of life. What better commands to follow. In my experience, God’s will to operate in our lives, is a heart matter. Jesus taught us this. He turned away from hypocrisy. Making it a ‘heart matter’, God’s working in one’s life shows us that it is available to everyone. Even to the poor and illiterate who cannot afford to study,who cannot afford to buy books. God speaks and guides them through His Holy Spirit. How does one know the will of God? If in your heart God sees you have a desire to do His will, He will see to it that you will end up doing His will. God’s working in our lives is quite simple and straight forward, Jesus’ death on the cross made this possible. Even as we approach Him as a child in these matters He reveals Himself in all matters so that, that individual understands exactly what He means. Learn not to complicate God’s teachings, approach Him in prayer with the desire in your heart, and certainly your life will end up doing His will. Do not make it a ‘ritual’- make it a sincere outcry from your heart to Him, and surely He will bless you with the desire of your heart to please Him, in finding out and living His will daily. Jacob, how God works out His will through lives’ experiences to make us fit into God’s will. Amen, in everything do as do to Lord, serve Him, gladly… with gladness in your heart. Honor and privilege… fruits of His spirit…. blesses life… families… communities…. unified beings …. blesses our country … foundation Gods peace lives and reigns. Serve … with thanksgiving… song in heart… what can do with …. what gave to give…. Thank you, to me God’s will, is as different as He made each of us, He knew us before we were . Listen with your heart, mind and soul, the Holy Spirit, will lead you. Into God’s will. Maybe I’m just simple minded. But, that is what I get from Psalms 139. Peace and blessings. Rejoice! Pray! Give thanks! A simple solution for those that know, in their hearts, that God is always with them. We may not always feel his presence but we must live , in faith, that He is there. Sometimes, He just wants to see what we will do, think, or say, in His silence. We should, “Rejoice! Pray! Give thanks!” The Holy Spirit will guide us, in His will, when we make our will, known! I am living in Spain & I have been unable to download the iOS free Bible app on my iPhone? Why is this please? Hey, John! We currently have our apps removed from EU app stores. As soon as our legal team verifies our GDPR compliance, we will have permission to list them again. We are so very sorry for the inconvenience. We hope this will be resolved soon.